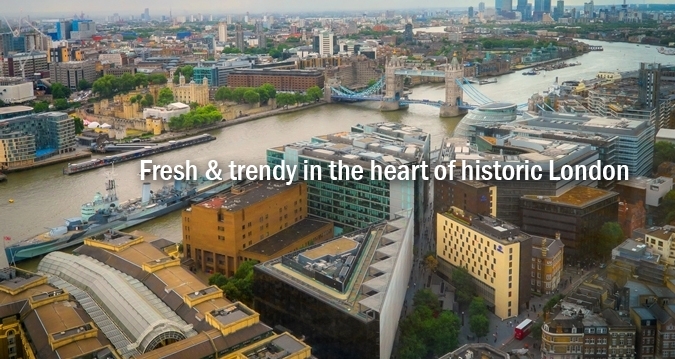 Set against the backdrop of one of London's most renown historical landmarks, Hilton London Tower Bridge is ideally located on the doorstep of the city’s financial and shopping districts. This contemporary hotel is a fantastic sightseeing location from which to explore London’s many tourist attractions. This London hotel is just five minutes away from the London Bridge City Pier for the Thames Clipper and a five-minute walk to London Bridge Station for underground (Jubilee and Northern lines) and national rail services. Excellent rail links provide easy access to London's gateway stations and all major London Airports via the Heathrow and Gatwick Express network. With stylish, elegantly furnished guest rooms and a 24-hour access, fully equipped fitness suite, this hotel in London is the perfect base for corporate as well as leisure Guests.